It should go without saying that Windows Phone didn’t exactly set the world alight. In fact, Windows Phone did so badly that 99.6 percent of all new smartphones are powered by Android and iOS Android and iOS Now Power 99.6% of New Smartphones Android and iOS Now Power 99.6% of New Smartphones Google and Apple now enjoy a duopoly in the smartphone market, with Android and iOS boasting a combined market share of 99.6 percent. Everyone else may as well pack up and go home. Read More . However, one of the few things Windows Phone got right was the typing experience. Knowing this, Microsoft released Word Flow for iOS. Word Flow being a keyboard app designed to replicate the Windows Phone typing experience on your iPhone. Microsoft released Word Flow in April 2016, and gave it a major update adding GIF search and other features in August 2016. That one-handed typing How to Effortlessly Type on Your iPhone With One Hand How to Effortlessly Type on Your iPhone With One Hand Typing on a smartphone with one hand is often a clumsy and risky affair -- but with one simple app, you can make it much easier and effective to do so! Read More is what separated Word Flow from the crowd. Once you got the hang of it Word Flow could speed up your typing, and all while leaving one hand free for other things. 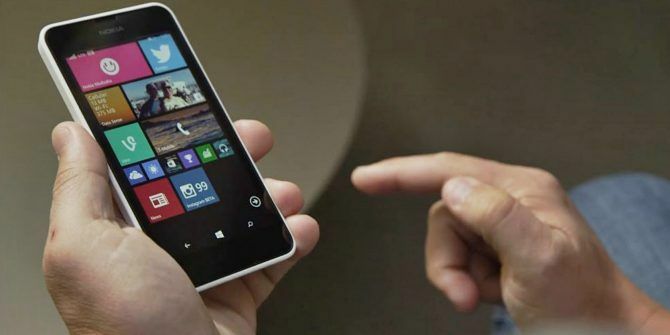 Explore more about: Keyboard, Microsoft, Windows Phone.